Those of you who follow our Facebook page will know that every Tuesday, we publish a customer testimonial – but this one’s a little different. 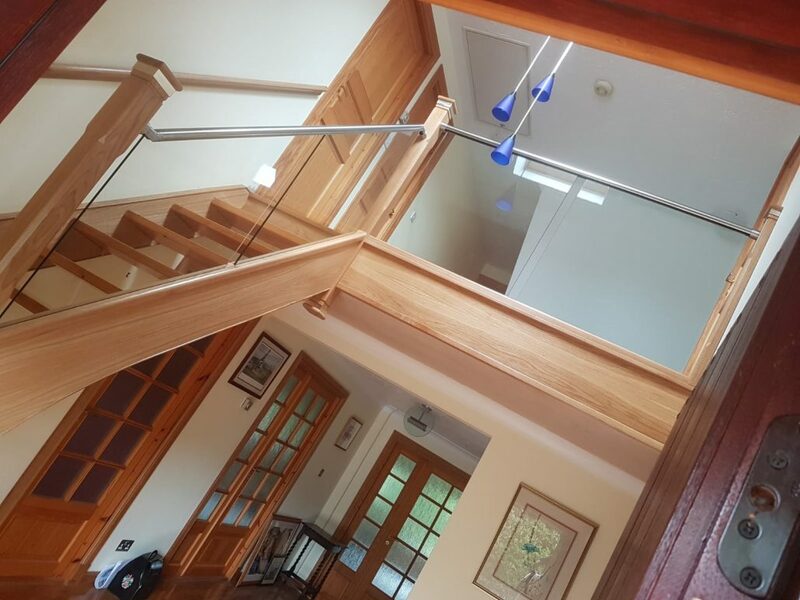 We loved Paul Grimson’s review so much, that we wanted to share it with you here, along with some photos of his new staircase. “In a nutshell, our experience in dealing with Jarrods was seamless and entirely hassle-free. Perfect. Our initial contact with Lauren – so personable and efficient (or “fab” as she would say) – set the tone. She quickly established what it was that we (thought) we wanted and, having checked our availability, arranged a visit by one of their designers. Two days later, John Dowle arrived and, after a preliminary introduction and site survey, set about discussing what we (thought) we wanted. Now, we had read in other reviews that Jarrods provided exactly what the customer wanted; however, John was having none of this! Why did we want a totally new staircase when the one that we already had (that is the open treads and stringers) were perfectly serviceable; sure, the rails and spindles or the “health and safety” elements of the staircase could be changed, but why contemplate spending more money than necessary to achieve the same effect. Not surprisingly, we warmed to John! He returned 2 days later with specific proposals for our project and samples of the wood, steel and glass that we had chosen and, having obtained our agreement to proceed, advised Head Office – who that same day came back to us asking whether it would be convenient for one of their surveyors to visit us later that same week. Richard Jones duly turned up, equally prompt as John had been on his 2 visits, and set about turning our (and John’s) vision into a detailed design. He questioned us about certain specifics, did a lot of measuring and confirmed that we were happy with all elements of the design – at the end of which, and having obtained our go-ahead, he spoke to Head Office and advised us that the installation had been scheduled for 5 weeks later. At this point, initial contact, 2 design visits, a surveyor’s visit and confirmation of when work would start had taken 8 working days. We were impressed. And so, as arranged and 2 minutes early (after an early morning departure from Manchester) Adam Gregory our one-man installation team arrived. Adam was, as they say, a “diamond geezer”. Like everyone else we had had contact with, he was very personable and was throughout at pains to minimise any inconvenience to us during the installation. His first 2 days with us were each over 11 hours long, during which he worked virtually non-stop as he crafted our “new” staircase. His workmanship was of the highest order and it was a delight to have such a professional working for us. We were delighted that he accepted our invitation to join us for dinner at the end of day 2; he deserved it. And so to day 3 and the realisation of our vision; it was everything (and more) than we had expected – due in no small part to the excellence of Adam’s work but testimony also to all of the planning that had preceded it. 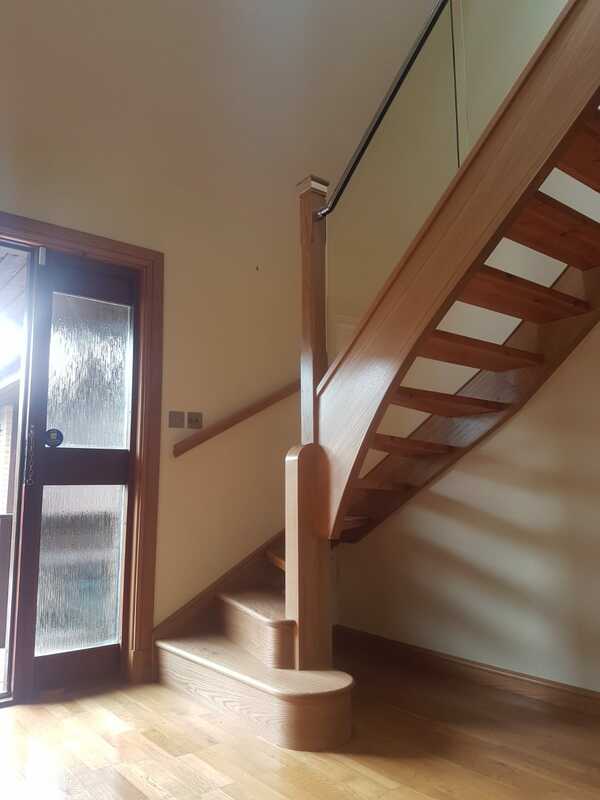 We are delighted with our renovated staircase, enjoyed all of our contact with various of the Jarrods team and would recommend them unreservedly to any other potential customers. Thank you again to Paul for such kind words! If you’d like to speak to one of our team about transforming your staircase, please get in touch here – we’d love to hear from you.